The future envisioned for the children of Uganda rests upon an evidence-based and targeted sustainable development agenda set today. 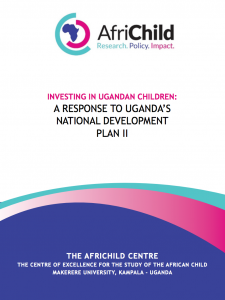 Within the Ugandan context, this position paper identifies 4 key areas for investment in child health and development and aims to open dialogue and promote critical thinking among the country’s policymakers, non-government agencies, and civil society actors. Research and data synthesis for this paper was led by Drs. Neil Boothby and Sarah Meyer, Ms. Lily Zhi Ning Lu and Ms. Rachel Webster on behalf of the AfriChild Centre. This paper was endorsed by members of the Uganda Child Rights Network. 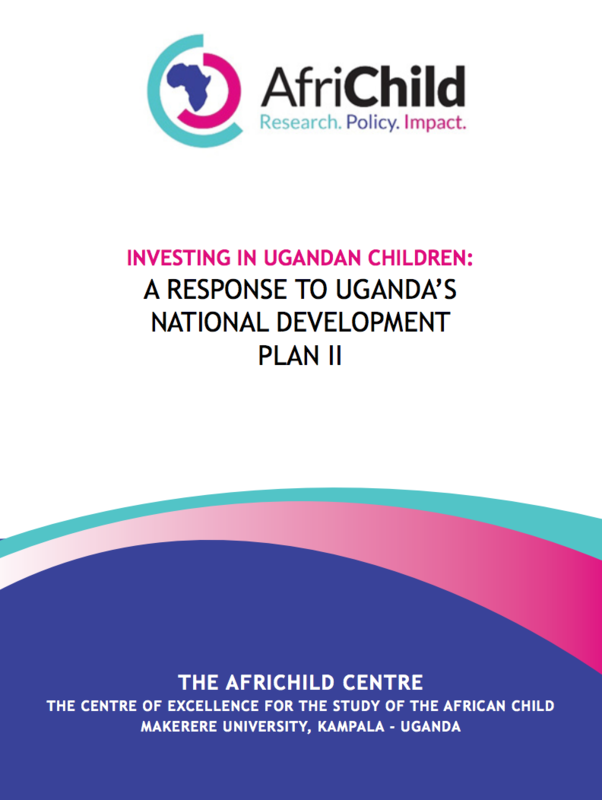 The study was undertaken in response to the recently completed Ugandan National Development Plan, and the upcoming National Forum on the State of the Ugandan Child, to be held in Kampala in October 2015.